From all submitted research papers, the Research Papers Committee selected the overall best paper for the award. The winner will be announced at the ISC High Performance Tuesday Keynote Session and will be given the opportunity to present a keynote talk on their work in one of the research paper sessions. 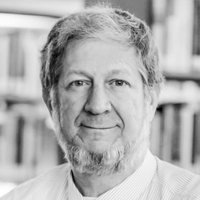 The Gauss Award will be presented by Professor Michael Resch, chairman of the Gauss Award Committee, during the ISC Opening Session. The award winner will also have the opportunity to present a keynote talk on their paper during one of the research paper sessions.